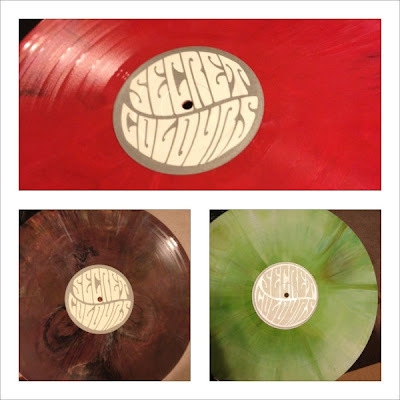 Just arrived: Secret Colours EP3 12"
Just arrived - Secret Colours' EP3 on 12" vinyl with new bonus tracks on the b-side! Not only the is the music here in the killer psych-rock vein of Spacemen 3, Black Angels, et al. but every record is a unique color & no two are the same! These guys are one of our favorite bands in town. Come pick one up!